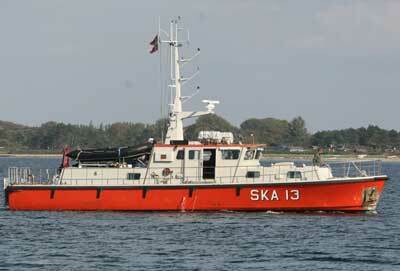 SKA 13 off Havnsoe in North Western Zealand in September 2008. 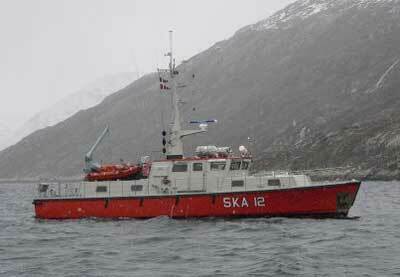 SKA 11 sank at 300 meters, May 3, 2006, in the Arsuk Fjord off Greenland, following the salvage operation after a grounding. SKA 12 and 16 are stationed in Greenland, while the remaining two vessels are to be replaced by two new HOLM Class, when commissioned (2007-08). SKA 12 is here seen off Greenland. 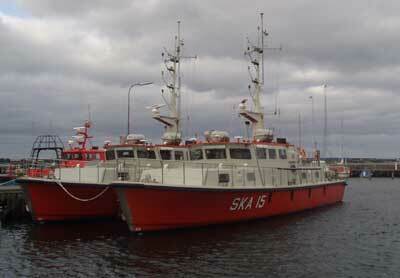 The surveying vessels SKA 15 and SKA 16 are here seen in Kalundborg in 2002.